Britton started his playing career with Dundee amateur side Hillside Rangers, and was signed by Chelsea as an apprentice in the summer of 1971. 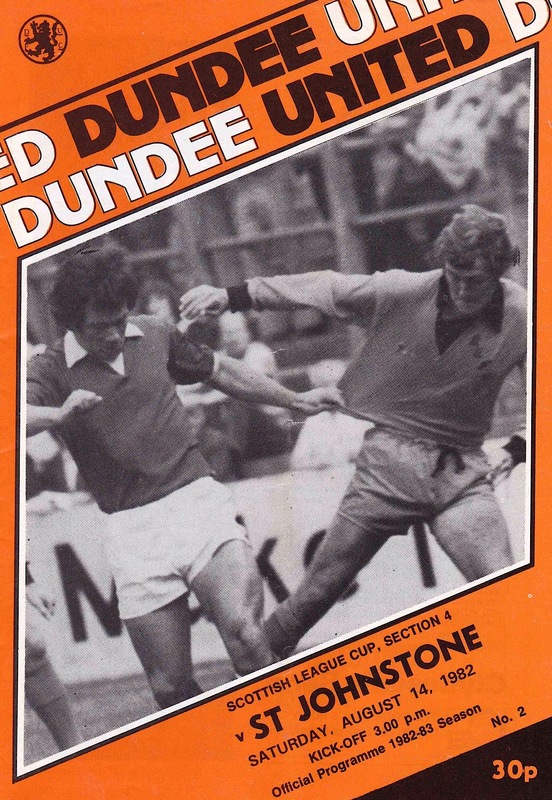 He made his first team debut in December 1972, and at the end of that season returned to Dundee to guest star in the testimonial for Dennis Gillespie at Tannadice. He became a regular in the Chelsea side after their relegation from the First Division in 1975, winning promotion back to the top flight in 1977. 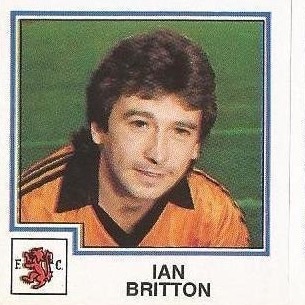 After ten years at Stamford Bridge, Ian was released in the summer of 1982, and was offered training facilities at Tannadice before signing and then playing in a pre-season friendly against Southampton on the same day. He featured in the first team in the early months of season 1982-83, playing ten league games as the side went on to win the championship. He was less often in the side in the second half of the season, becoming very much a reserve player. 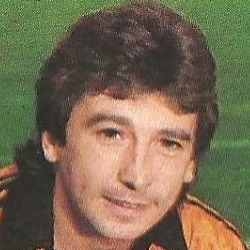 He was released in October 1983, joining Arbroath for a short period before returning south where he played for Blackpool, helping them win promotion to the Third Division in 1985. A year later Ian signed for Burnley, staying until 1989. He then played for non-league Morecambe and Accrington Stanley. Dundee United started the game with the same team as faced Falkirk in midweek. Milne who came on as a sub last week, retained his place on the bench. Raith Rovers attack was spearheaded by former Tannadice player Ian Ballantyne who is currently their top goal scorer. Despite a good showing By Willie Garner's men, they had no answer to United's firepower.Davie Dodds opened the scoring when he hammered home the rebound from a blocked Richard Gough effort. Before half-time John Reilly whipped home the second after an Eamonn Bannon cross had struck Alex Taylor.